Category: Biography & Autobiography, Self Help & Personal Development Tags: biography, carl jung, Illustrated, personal development, Photography, psychology, sigmund freud, unconcious, spirituality. This beautifully illustrated biography tells the story of one of the most influential thinkers of the 20th century. Carl Jung continues to be revered today as a true revolutionary who changed our views of psychology, introduced the West to Eastern spirituality and brought into general awareness such important concepts as archetypes, the collective unconscious and synchronicity. In this book lecturer, author and broadcaster Claire Dunne chronicles Jung’s journey of self-discovery from his childhood, filled with visions both terrifying and profound, through to his early adulthood when he pursued more material goals, to his rediscovery of spirituality at mid-life. Special attention is paid to the tumultuous relationship between Jung and his one-time mentor Sigmund Freud, the unconventional yet vital role performed by his student Toni Wolff, and the revelatory visions Jung experienced following a close brush with death. 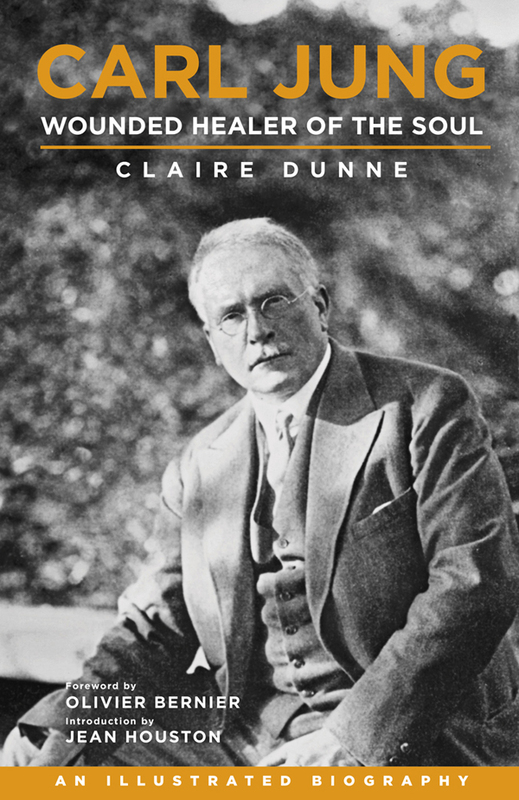 The words of Jung himself and those who shared his work and private life are presented verbatim, interspersed with Claire Dunne’s lively and accessible commentary and an evocative array of illustrations including photos of Jung, his associates and the environments in which he lived and worked, as well as art images both ancient and contemporary that reflect Jung’s teachings. Jung emerges as a healer whose skills arose from having first attended to the wounds in his own soul. This is an essential book for everyone interested in psychology, spirituality and personal development.